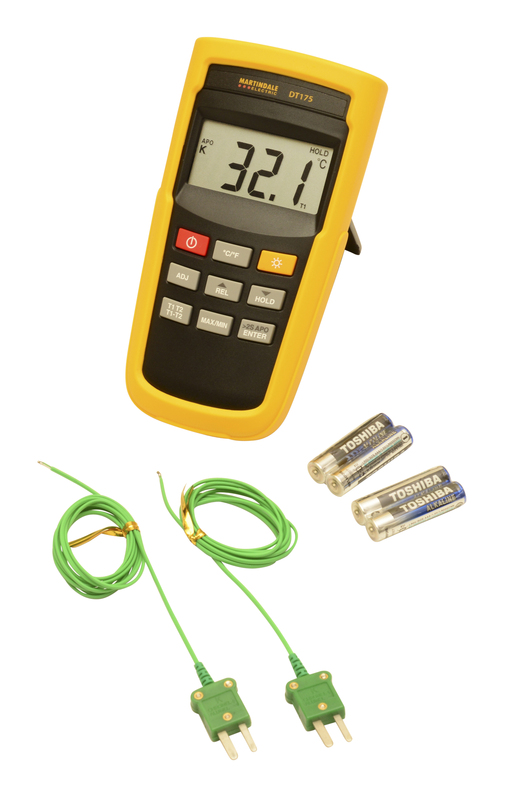 The DT175 is a high performance dual input K Type digital thermometer enabling the measurement of both input and output temperatures of systems and equipment simultaneously. When set to differential mode, the difference between the two thermocouple readings can be displayed which is useful for measuring the effectiveness of heating systems. 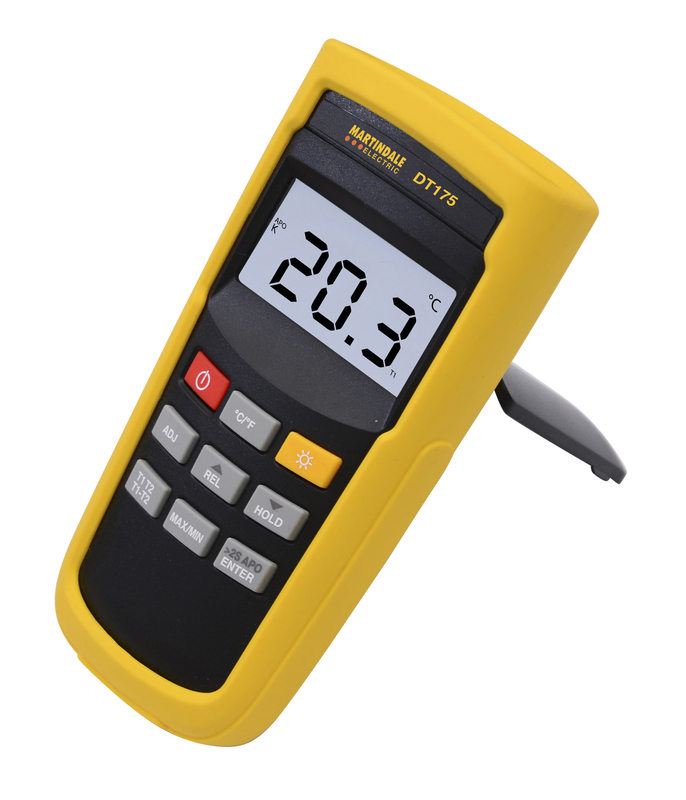 The DT175 has a wide measuring range from -200°C to 1372°C. 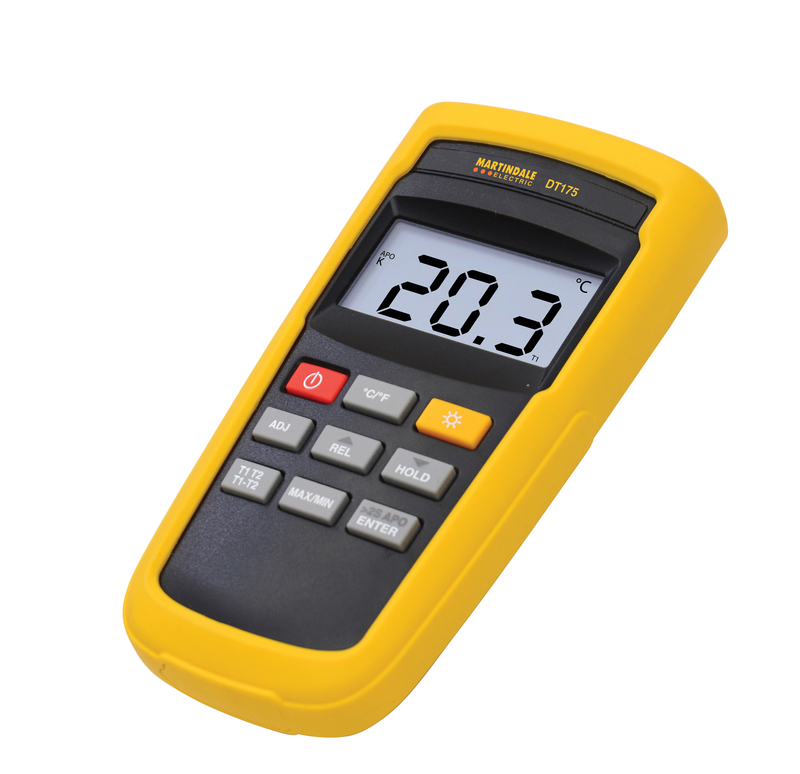 The compact thermometer is supplied in a tough holster and has large digits and a back light for easy viewing in all environments. There is a fold away built in stand for optimum viewing angle. The DT175 is supplied with two bead thermocouples and is compatible with a wide range of optional Martindale K Type probes including air probes, penetration probes and clamp and surface probes. For more information on probe accessories click here.